It’s a momentous, manga-influenced week for the ComicList! Let’s take a look. O’Malley could be said to embody one version of the dream of creators who list manga among their influences. He’s got a hugely successful series, critically and commercially, with a major movie adaptation about to hit theatres. Another enviable outcome went to Felipe Smith, who first saw print as one of Tokyopop’s Original English Language manga creators with MBQ. He then went on to secure a spot in Kodansha’s Morning Two line-up with Peepo Choo. The three-volume series is now being released in English by Vertical, and the first volume arrives in comic shops tomorrow. I read a review copy from the publisher, and I wish I liked the book’s narrative as much as I like the story behind the comic. It falls into the category of comics that aren’t really for me. It’s about a young American otaku who wins a dream trip to Japan. The kid has romanticized Japan beyond all proportion, picturing it as an Eden of manga- and anime-loving cosplayers who can all get along by virtue of their shared love for a particular character. Little does the kid know that he’s going to be mixed up with vicious gangsters, assassins, brutal teen starlets, and the far-less-idyllic reality of indigenous otaku. Smith shows terrific energy as a creator, and I appreciate his satirical intent, but Peepo Choo is a little coarse for my tastes. I know that’s weird to say, given how much I love Detroit Metal City and Little Fluffy Gigolo Pelu, but Peepo Choo doesn’t quite have the precision with which those books use their gross-out material. The vulgarity doesn’t say as much as it could, and the satire is a little too broad to be as effective as I’d like. Still, this book should have no trouble finding an audience of comic fans who like to see their hobby tweaked and their fandoms punked, and it’s amazing that Smith has been published in a highly regarded manga magazine by a major Japanese publisher. 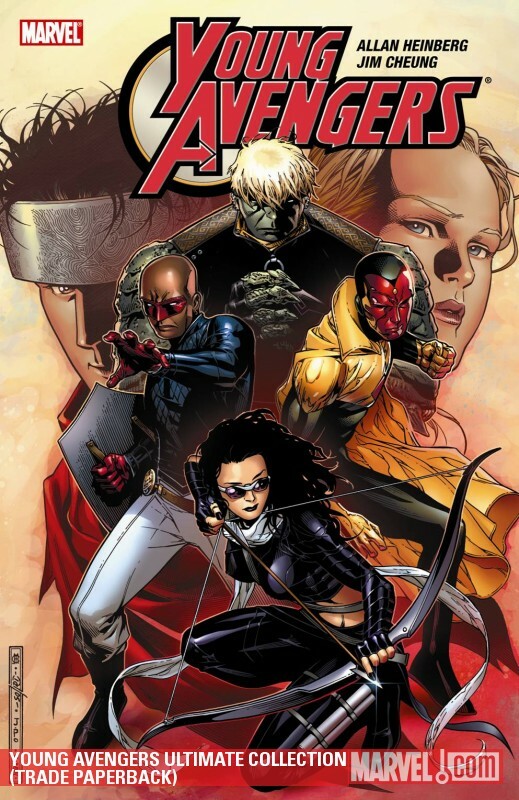 I also might have to pick up a copy of the Young Avengers Ultimate Collection (Marvel), written by Alan Heinberg and penciled by various people, mostly Jimmy Cheung, just so I can have all those stories in one convenient package. I really enjoyed the first issue of Avengers: The Children’s Crusade that came out last week, mostly for the adorable gay super-hero boyfriends being adorable with each other, and also because a Marvel character finally suggested that there might be more to the Scarlet Witch’s behavior than her just having a bad case of babies rabies and not being able to handle her powers because, well, chicks. Also, no one suggested killing the Scarlet Witch, though her fair weather friend Ms. Marvel seems like she’d be more than happy to do so. Shut up, Ms. Marvel. This entry was posted on Tuesday, July 13th, 2010 at 9:27 am and is filed under ComicList, Linkblogging, Marvel, Netcomics, Oni, Quick Comic Comments, Vertical. You can follow any responses to this entry through the RSS 2.0 feed. Both comments and pings are currently closed. 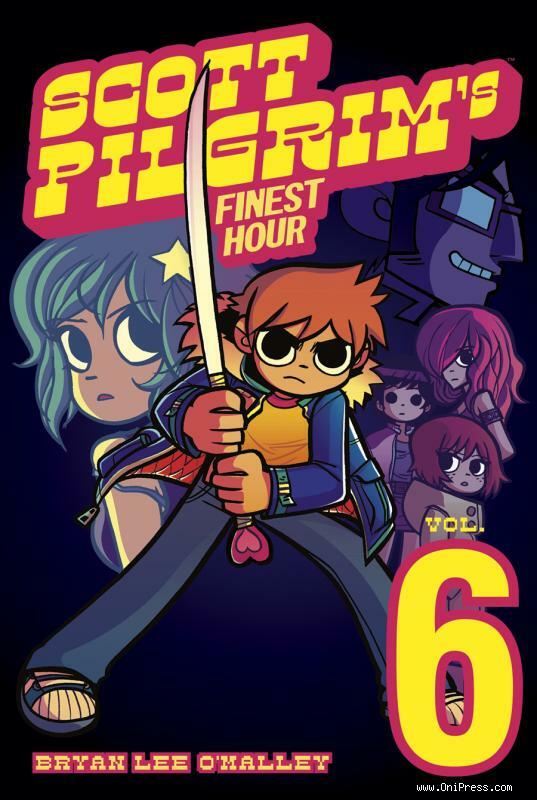 I think Scott Pilgrim v.6 comes out next week. If you can still find it, I’d suggest you get the Young Avengers hardcover collection instead, which collects the same issues as the Ultimate collection but is $5 cheaper. Thanks for the tip! That’s some odd pricing there, that is. I’m relieved to hear someone else had the same reaction to Peepo Choo, though you’ve expressed your feelings with a lot more tact than I could.